Established in 2008, Impractical Labor in Service of the Speculative Arts (ILSSA) is a union for reflective creative practice. As a union for artists, makers, and creative practitioners of all kinds, ILSSA focuses on improving the immaterial working conditions of our members. 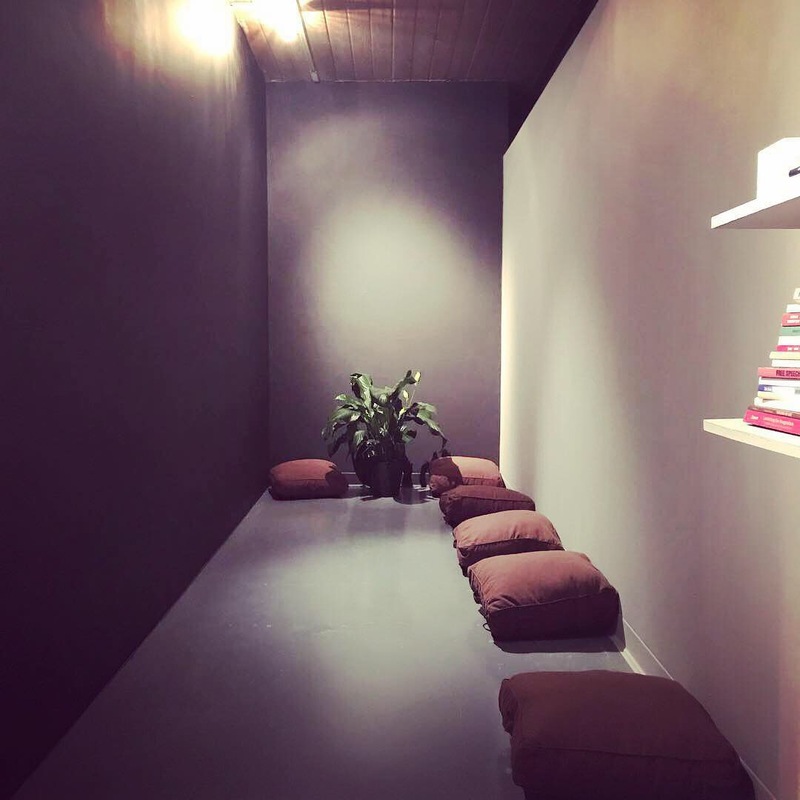 ILSSA publishes contemplative tools and resources; organizes participatory projects, exhibitions, and events; facilitates an annual group residency; and observes an annual holiday, the Festival to Plead for Skills. ILSSA seeks to restore the relationship between makers and their tools, makers and their time, and makers and what they make—their lives. ILSSA's projects and publications often take the form of a call-and-response. 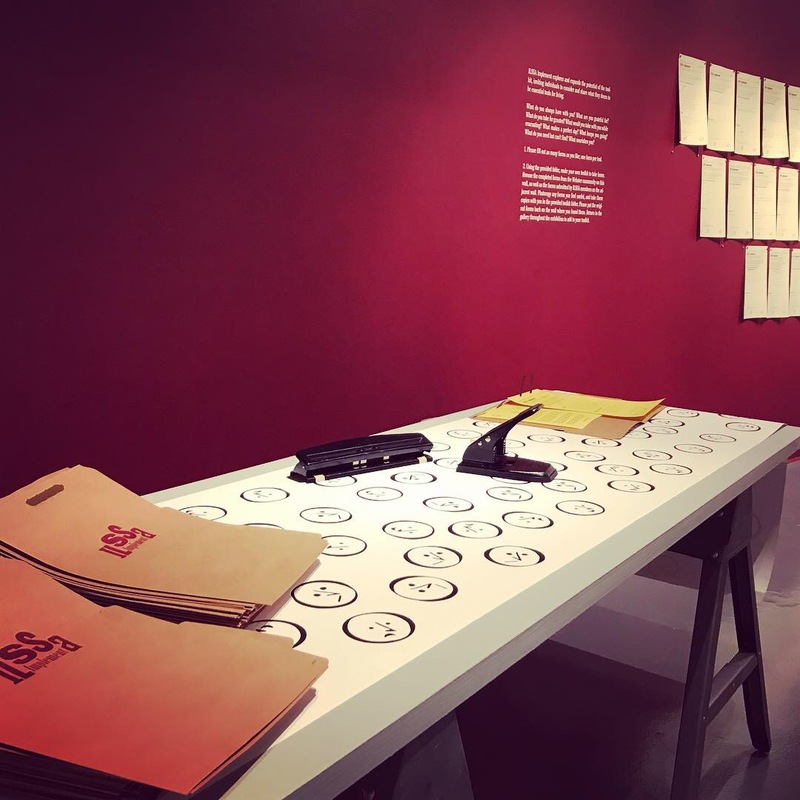 Calls have included a survey asking members to assess their working conditions as impractical laborers, a workbook inviting members to ruminate on their relationship and experience with time, a chronobiological self-test, a request for member manifestos, and an inventory of essential tools for living. Participation in these projects often leads to additional publications and exhibitions. ILSSA members' interests vary widely, from fiber arts to listening and sound practices, from poetry to animation. What unites all members is a valuation of process, exemplified by our motto, As Many Hours As It Takes! Learn more about our current activities over on Instagram, subscribe to the ILSSA Listserv, or join ILSSA today! 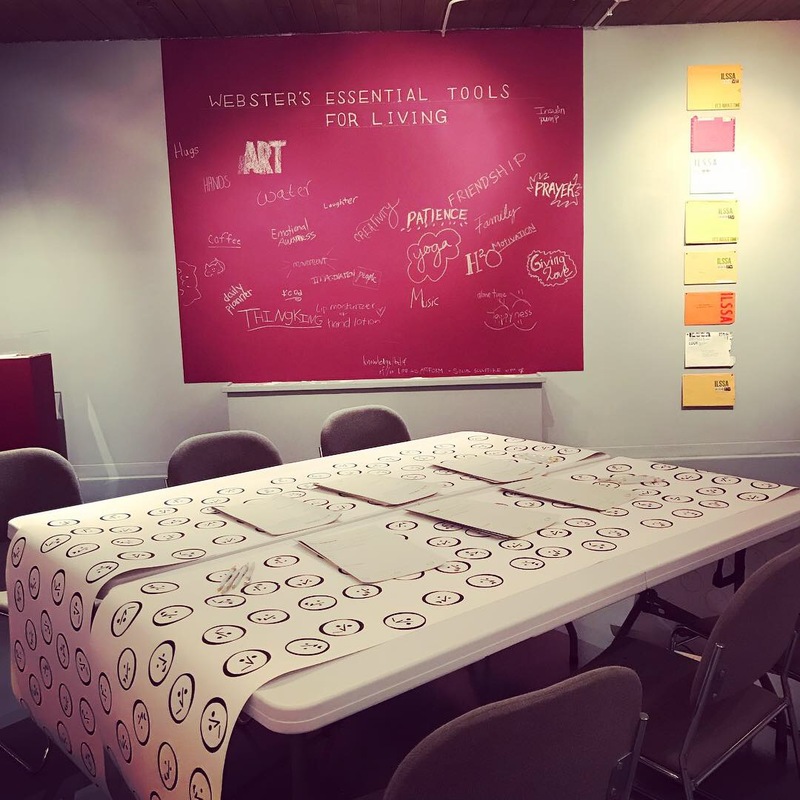 ILSSA Implement: Essential Tools for Living is installed at Hunt Gallery, Webster University, St. Louis from November 16, 2018 to January 5, 2019. Implement is ILSSA’s latest participatory art project, which explores and expands the potential of the toolkit, inviting individuals to consider and share what they deem to be essential tools for living. What do you always have with you? What are you grateful for? What do you take for granted? What would you take with you while evacuating? What makes a perfect day? What keeps you going? What do you need but can’t find? What nourishes you? As Many Hours As It Takes!